"J.B. HAROLD: BLUE CHICAGO BLUES"
Another murder has occurred here in Chicago, where traces of the good old days still remain. The day after a girl in a red dress was found dead, a woman who is the presumed murderer was killed at the same spot: Catherine White, a Liberty Town Police Department detective. Learning of the death of Catherine, her co-worker and fiance, J.B. Harold, immediately flew to Chicago. • In addition to the English Laserdisc version, there's also a Japanese 3DO version. 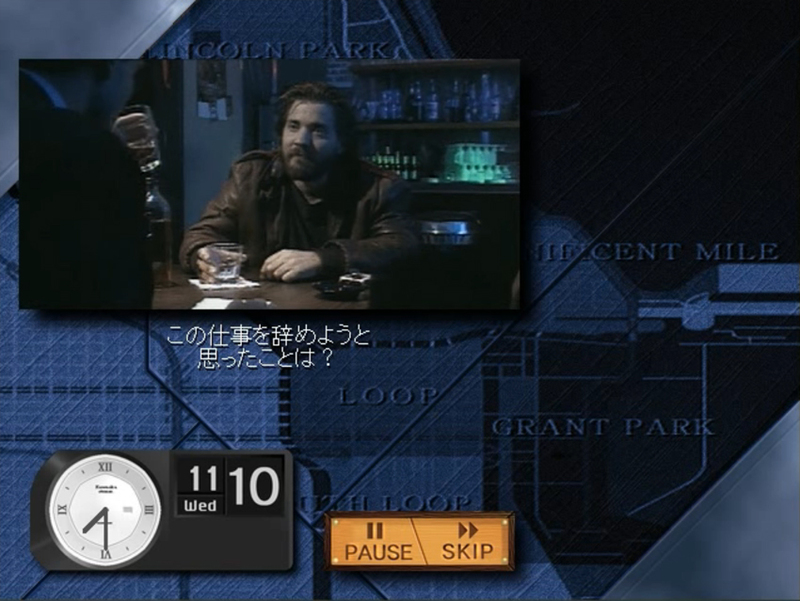 • This is the follow-up to the Laseractive FMV game Manhattan Requiem.